(On TV, September 2016) I’m all for low-budget Science Fiction … but I like it best when it’s actually Science Fiction. For all of Another Earth’s nattering about the discovery of a parallel Earth on the other side of the Sun (shades of Journey to the Far Side of the Sun), the bulk of the film plays as a stripped-down low-budget drama about grief and guilt that has nothing to do with its central SF idea. The Science Fiction element truly comes in focus maybe ten seconds before then end of the film, exactly where most genre SF stories would really begin. Up until then, it would have been possible to tell more or less the same story using non-SF elements without really threatening the integrity of the story being told. This shying away from the implications of a big SF idea is frustrating—there’s a sense that the film stops when it should be starting. To be fair, this sense of missed opportunities is also obvious in writer/director Mike Cahill?’s subsequent I Origins, giving the impression of a filmmaker who works his way to an idea and then doesn’t know what to do with it. 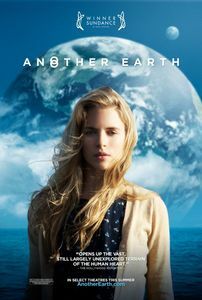 It’s even more frustrating given that much of Another Earth is effective as a low-key drama. Once you get past the limitations imposed by the low budget (including a muddy picture quality), there’s an effective story here about a guilty woman getting closer to the man whose life she has destroyed, and what happens when he discovers who she is and what she has done. Had the film followed that plot thread to a conclusion without bringing in the SF element, I would have been marginally happier with the results. Both Brit Marlin and William Mapother do well in the main roles, and the film does let its drama breathe even at a maddeningly slow pace. But as it stands, with its abrupt flip into SF moments before the end, Another Earth feels like half a film.